It has been a long, long time since my last post. I now need to metaphorically wipe the dust from the keyboard whilst reflecting on my extended break from EVE Online. No longer a member of EVEs ‘blog pack’ no doubt many of these key strokes will fall unheard but no one ever said returning from the wilderness is an easy path…. Things appear to be changing in EVE, developments in terms of the UI, Faction Warfare and,most importantly, rusted old mechanics like Bounty Hunting are at long last being rejuvenated. Way back in ’06 when I started playing EVE players were then asking CCP to look again at bounty hunting as a ‘profession’ and its lack lustre mechanics. You didn’t need to look far on the official forums to find some proposal or other suggesting a fix or a solution and (occasionally) a developer post would kindle hope in players hearts that this forgotten feature of EVE was going to be looked at. It never was. Months turned into years and bounty hunting (like other facets of EVE) remained on the “to do” list. That is about to change. The next iteration of EVE, Retribution, brings with it a revised bounty mechanism – it may not be ideal, or even a great system but to my mind that is less important than the fact that CCP is – at the very least – attempting to remedy a empty feature. Features like the bounty hunting system are important not least because they have the potential to directly (or indirectly) effect every player in EVE: from the industrialist to the miner, the trader to the null sec fleet commander. The revision to the bounty mechanism is also important for another reason: it suggests that CCP are actively engaging in revamping the core mechanisms of conflict in New Eden. 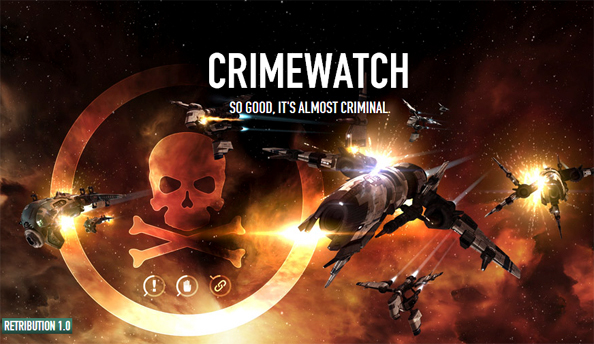 The placement of bounties and the player interaction that results in is of course a relatively minor thing, but if as I hope, CCP go on to apply the same philosophy to Null Sec Sov game play and Low Sec then 2013 has the potential to be extremely interesting for EVE and its players. Right now my ship is drifting dark and lifeless in the deepest reaches of space but within a capsuleers mind is stirring to wakefulness and the thought that a new era for EVE awaits is a tantalising possibility. This entry was posted on October 24, 2012 at 2:46 pm and is filed under EVE Online. You can follow any responses to this entry through the RSS 2.0 feed. You can leave a response, or trackback from your own site. Reblogged this on Gigable – Tech Blog. You’re not the only one. Some dormant capsuleers are in the same boat but still scanning on your frequency.